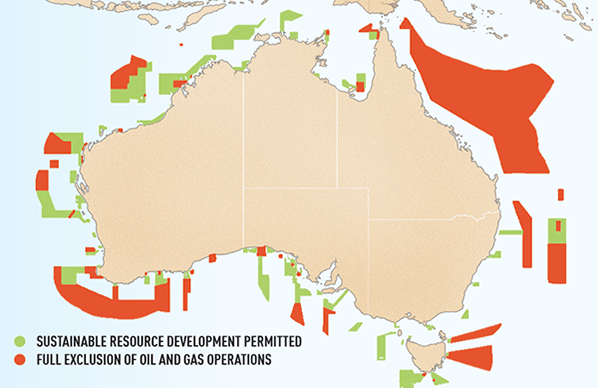 Most of Australia’s oil and gas production comes from offshore fields and the country’s prosperity and energy security depends on these offshore projects. The industry recognises its responsibility to develop these resources safety and sustainably. Before beginning any oil or gas development, onshore or offshore, the project operator must undertake research to establish baseline environmental data and to clearly identify potential risks. The company must then develop detailed management plans to avoid, prevent or minimise its impacts. Offshore operations are highly regulated by commonwealth, State and Territory legislation and the National Offshore Petroleum Safety and Environmental Management Authority (NOPSEMA), which publishes summaries of companies’ environmental plans. These laws and regulations are aimed at protecting the marine environment, including cultural and historic values, as well as biodiversity and air and water quality. Controls are placed on all aspects of offshore operations, and licences defining limits are required for various discharges. Strict limits are imposed on discharges to the air and ocean environment.